So we're back at it full force at Phantom Harbor producing the second episode that I'm sure all of you will LOVE more than the pilot. As you can see by the image, we'll be moving out of the one Captain's Quarters and venturing to new locations and introducing all sorts of new characters. Recording of the actors for the animated story begins next week which means that the art work will commence next week and there are even MORE surprises....Can you stand it? I've contacted the good folks at CHROMATEK and will be producing a portion of the next animated show in Chromatek 3-D! You heard right: 3-D! As soon as I get the glasses, I'll be advertising so that you can order your glasses in the mail! Of course, the show can be viewed without the glasses but I can assure you that it won't be as much fun! So until then, I'm going back to the Harbor and hope to see you all soon! 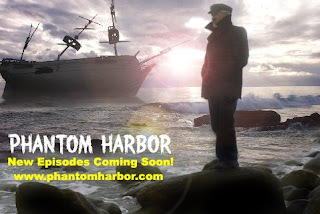 So after a brief sabbatical, I've returned to the Harbor to continue this blog and production of Phantom Harbor. The script for episode 2 is nearly complete, just a few minor adjustments and we're on our way. Creature designs are progressing nicely and with some luck, we'll get it all going presently. Unfortunately, because of the lull toward the end of 2008 in Motion Picture production, January has turned out to be a busy month. The industry is still fearing a Screen Actors' Guild strike (which, unfortunately SHOULD happen) so everyone is pushing their projects quickly to avoid shut down. What that means to Phantom Harbor fans is that my attention is split between the demands of my day job, and those of Phantom Harbor. I'm going to produce some personal messages to individuals who have expressed interest. 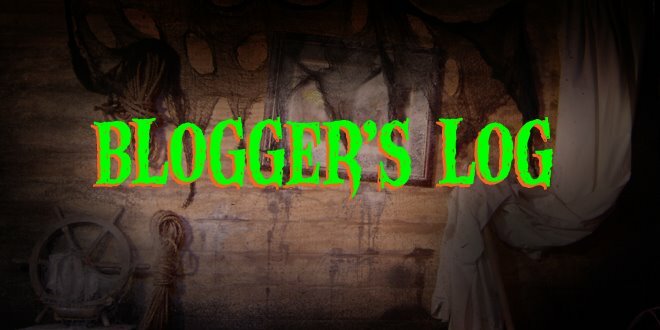 I might cut together a promo for MONSTERPALOOZA (which I'll be attending with some props from the show). But the long range goal is still there - get episodes completed and posted. Finally, my friend, Kevin McTurk, shot some awesome photos of The Captain that will be appearing on the site soon. That's all for now. Let's all hope that this year brings not only more Phantom Harbor episodes, but happiness and success for all.